Most business decisions are based on data and rationality, but SIDney shows you how to combine logical thinking with intuitive thinking for miraculous results. Call it a hunch, call it a sixth sense, or call it the psychic mind; however you define it, you have experienced "gut feelings" many times in your life. SIDney helps you develop this ability so you may gain a greater degree of successful decision-making and innovation. ...presenting for hundreds of companies, individuals and celebrities, SIDney shares a NEW TECHNOLOGY of the mind. SIDney wrote the national best-selling book YOUR MIND KNOWS MORE THAN YOU DO, which reached #8 on amazon. Learn from someone who knows MIND POWER. As seen on NBC-TV's TODAY SHOW and ABC-TV's THE VIEW, best-selling author and mind power "guru" SIDney Friedman will show you how to access powerful aspects of your mind to help give your business the advantage it needs. SIDney Friedman is the leader in teaching intuition for business applications. 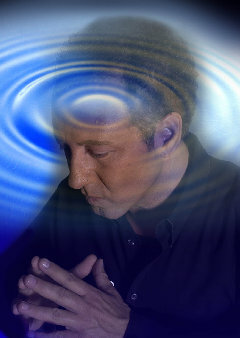 Super Intuition Development utilizes several techniques from SIDney's best-selling book. © copyright 2009, by Sidney Friedman.